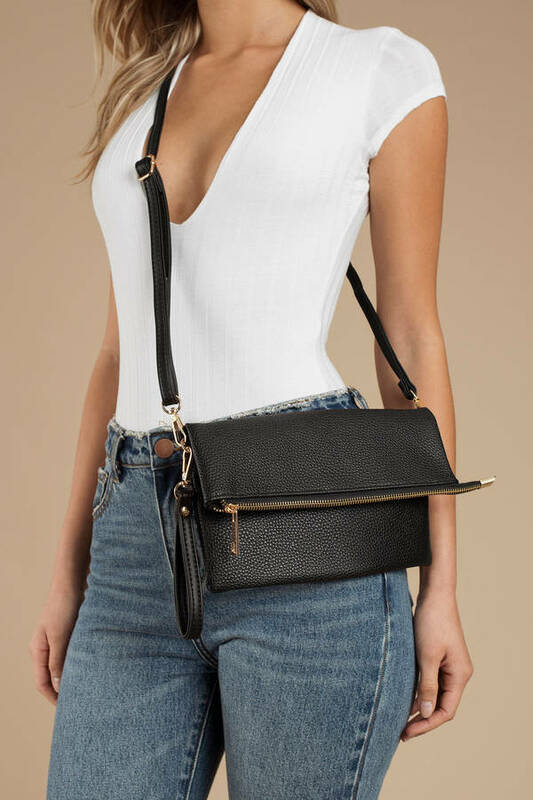 Check out Tobi's Diana Fold Over Faux Leather Clutch Sleek and simple, the Diana Fold Over Black Faux Leather Clutch will be your next go-to bag whenever you step out. 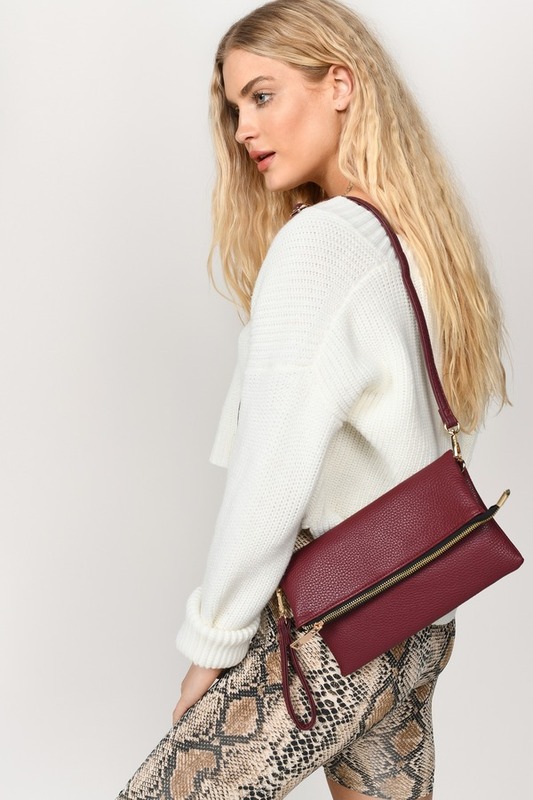 This small bag features an envelope style with a zipper, vegan leather, and enough room for all your going out essentials. This wristlet looks clutch with any outfit for any occasion. 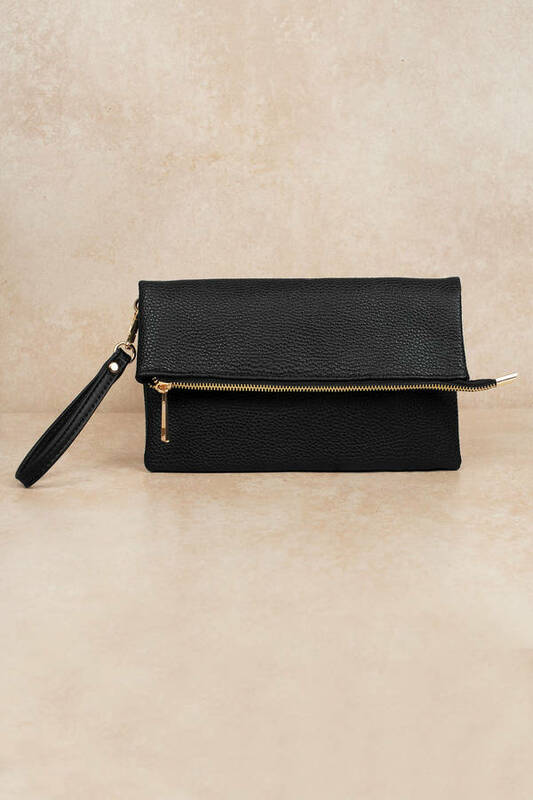 Sleek and simple, the Diana Fold Over Black Faux Leather Clutch will be your next go-to bag whenever you step out. This small bag features an envelope style with a zipper, vegan leather, and enough room for all your going out essentials. 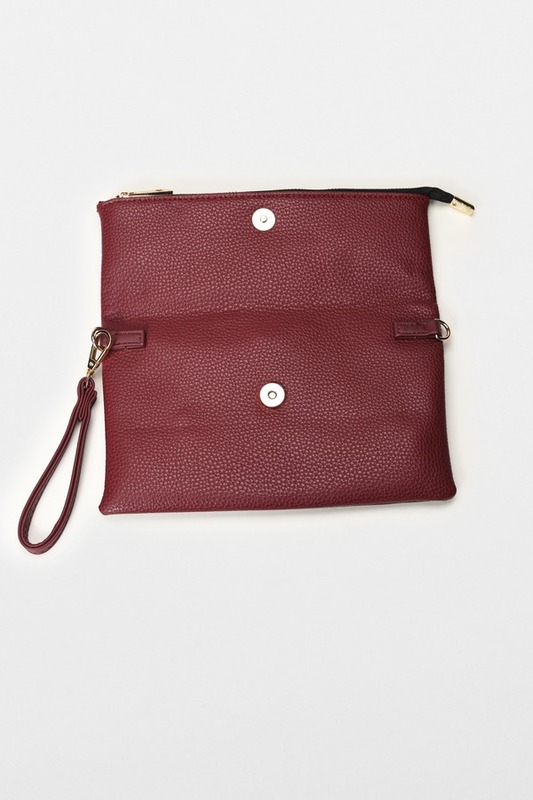 This wristlet looks clutch with any outfit for any occasion. 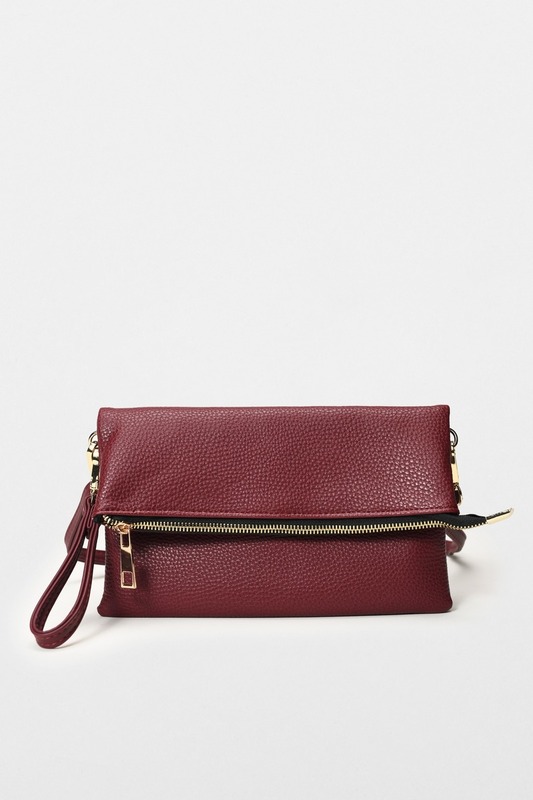 Sleek and simple, the Diana Fold Over Wine Faux Leather Clutch will be your next go-to bag whenever you step out. This small bag features an envelope style with a zipper, vegan leather, and enough room for all your going out essentials. 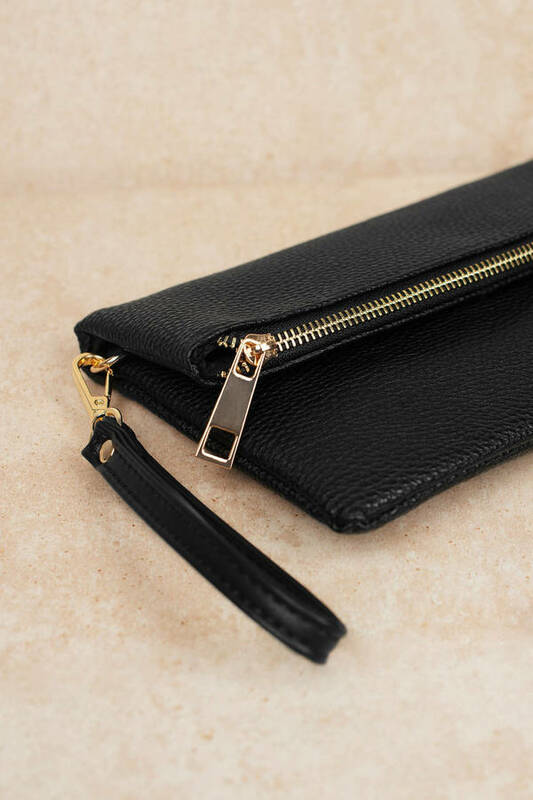 This wristlet looks clutch with any outfit for any occasion.